What do you want to get out from this meetup? Looking to learn Chef tricks of the trade from the resident experts in Sydney. Organiser of SydPHP and Zend meetups, coder of things. 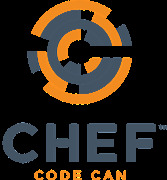 We are a group dedicated to bringing engineers as much experience, education and real life use cases of the Chef product suite. Amazing features like Test Kitchen, Delivery, Compliance... and more to come. If you're keen to learn more about how to glue these all together in harmony with the rest of your product teams and sets... this is the group for you! We're looking for members of the IT community who are interested in learning more about the Chef products, and how they can be used in their day to day management of automation services within their company. 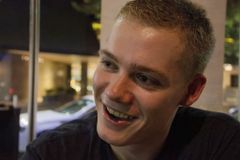 We're also after individuals who are interested in committing back to the open source community, and making Chef better for the whole community. To learn a heck of a lot about automation, and how to automate your infrastructure and application service delivery and much much more. What can members expect out of the group? Speakers presenting on both what they've done to integrate Chef into their ecosystem, as well as anything new they may be doing with the products. Learn how to strengthen your automation pipelines! Come and join the community... help contribute to make the Sydney Chef scene a lot stronger, and enjoy some pizzas and beers at every event!